VMware ESX 3.5, Patch ESX350-200905401-BG: Updates vmkernel and hostd RPMs Critical updates related to HA failover of VM’s on NFS datastores and invalid license issues. Host reboot required. VMware ESX 3.5, Patch ESX350-200905402-BG: Updates VMX RPM General update to address a robustness issue with VMX. No Host reboot required. VMware ESX 3.5, Patch ESX350-200905403-BG: Updates aacraid driver for Adaptec Replaces the Adpatec aacraid_esx30 driver to mitigate potential failure under heavy load on some IBM, SUN or Fujitsu hosts. Host reboot required. VMware ESX 3.5, Patch ESX350-200905404-BG: Update to tzdata package Updates time zone information for changes in Brazil and Argentina. No host reboot required. VMware ESX 3.5, Patch ESX350-200905405-BG: Updates Kernel Source and VMNIX This patch updates kernel-source and kernel-vmnix to support the aacraid software driver update. Host Reboot is required. 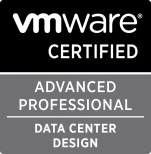 One of the locations that VMware lists updates is on the VMware Knowledge Base Blog. VMware released security advisory VMSA-2009-007. The security advisory is related to the “Descheduled time accounting service” an optional, experimentally supported component of the VMware tools. The denial of service vulnerability only exists on Windows based VM’s with the descheduled time accounting service installed, but not running. The advisory lists the conditions and required steps to remediate these VM’s and the various VMware platforms that they may be running on. For ESX 3.5, the patch ESX350-200904401-BG released last month is required. For ESX 3.0.3, patch ESX303-200905401-SG released this week is required.